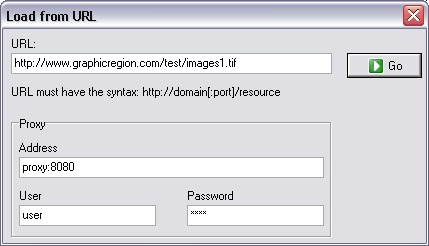 Load From URL command loads the image from the network using the http protocol, specifing the URL. This function doesn't support password authentication and doesn't support secure http (https). It is possible to set proxy parameters using Proxy-Address, Proxy-User and Proxy-Password properties.